TONIGHT'S STAR PARTY 9/11 PVCC CAMPUS 6PM TO 9PM HAS BEEN CANCELLED DUE TO RAIN! Forecast for tonight, as of 1pm today, says 30-40% chance of rain. If the forecast reads 40% you know it will be raining tonight. And 69% cloud cover, which means the whole sky will be clouds! Thus, I have canceled the star party and informed all who RSVP'd about it. Please have a wonderful, relaxing and cooler evening!!! We will see you at the next PAS event!!! I just came across your web site, and I thought you and your members might be interested in my new book, Unmasking Europa, which just came out. Richard sent a pdf with the info about the new book, for which you can download that info here from the PASAZ.org website. We are looking to pin down volunteers for the Anthem Star Party on Nov 1.
set this up and get the info out to the public!!! My contact at Anthem needs the info today, so those of you doing something special for this event, may or may not get listed as individual activities, however, he is looking for info on what we have planned, so I am sending him some of the thing we have done in the past. We need volunteers, and the volunteers do not need to be there all day. We can do it in shifts. If you wish to attend all day, provide an activity or do Solar Viewing, and then stick around for the evening as well, please do. The more we have the better this star party turns out to be. Evening: Activites are mostly viewing through the telescopes. 2) If Day, what activity (s) do you wish to do? based on knowing that people already will know we are there, have a nice size crowd. Plan to attend. If you do not wish to volunteer, but do wish to attend the events, you can RSVP with me. The RSVP would be just in case of weather canceling the event, I can contact you to let you know we won't be having it. Or if you are on the PAS Digest Blog, you will get that info the moment we decide on cancellation. We are hoping for clear skies. The daytime events can still happen in cloudy skies, mostly, however, if the winds are above 10mph or we have impending rain, we will cancel the event. RSVp your assistance, today, at Events@pasaz.org. Download the flyer and Map for this event! FIREBALL OUTBURST: This morning, Sept. 9th, a surprising flurry of fireballs lit up the sky over eastern parts of the United States. All-sky cameras at the Marshall Space Flight Center in Huntsville, Alabama, recorded 25+ meteors, most as bright as Jupiter or Venus. A preliminary analysis by NASA astronomers suggests this is an outburst of "September Perseids," a little-known shower that has erupted this way three times in the past century. Although the show is almost certainly over, sky watchers are advised to be on the lookout for more fireballs tonight and in the nights ahead; the September Perseids are not well understood and they could surprise us again. Visit http://spaceweather.com for more information and updates to this developing story. 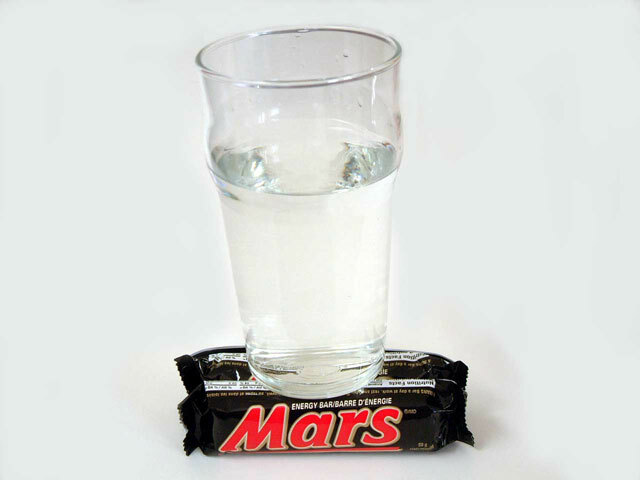 First picture from NASA of water on Mars, amazing and outstanding! !